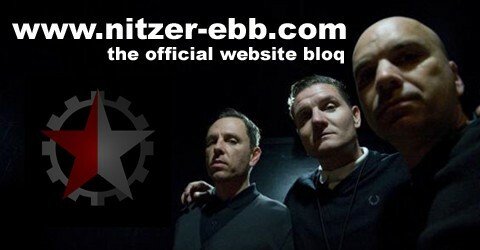 In this year, the first Nitzer Ebb Release ever will celebrating its 30th Anniversary! It is for this reason Pylon Records will be release The Basic Pain Procedure CD on June 11, 2013 world wide. This CD contains all tracks of the BPP such as Faded Smiles, Tradition and Crane as well as the entire live Concert from CIHE, Chelmsford, December 9, 1983! Stay tuned! Available Now for the first time ever is Nitzer Ebb’s Basic Pain Procedure on vinyl, which many fans consider, the holy grail of their catalogue. The release also contains a double sided insert with the alternate black & white cassette cover and rare photos and flyers from that era. Only 600 copies are pressed in total with 200 of them on Red / White color split and the rest on black vinyl. Pylon Records would like to thank Bon Harris & Douglas J. McCarthy for making this release possible.